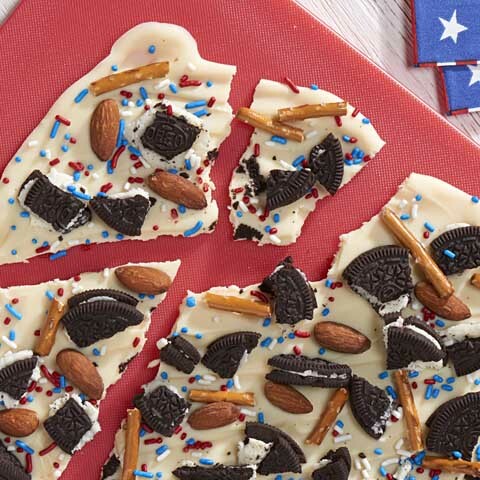 Makes 4 servings, 1 each. Microwave blue candy wafers and 1 tsp. oil in microwaveable bowl on HIGH 30 sec. ; stir. Microwave additional 15 to 30 sec. or until wafers are completely melted and mixture is well blended when stirred. Repeat in separate microwaveable bowl with white candy wafers and remaining 1/2 tsp. oil. Dip cookies, 1 at a time, in white candy coating, to completely coat bottom and sides of each cookie; place, coated sides up, on parchment lined baking sheet. 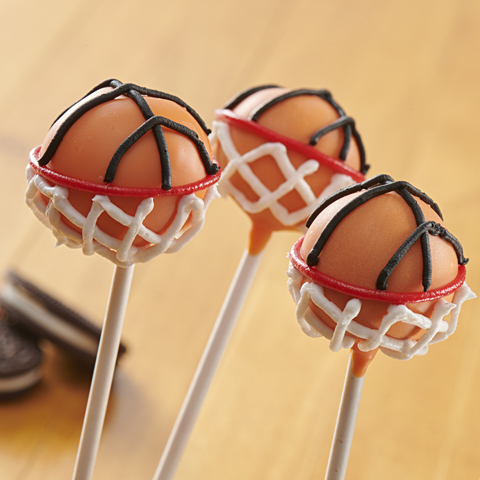 Attach 10 chocolate chips around edge of each cookie as shown in photo to resemble cleats on football shoe. Refrigerate 5 min. or until chocolate is firm. Turn cookies over. 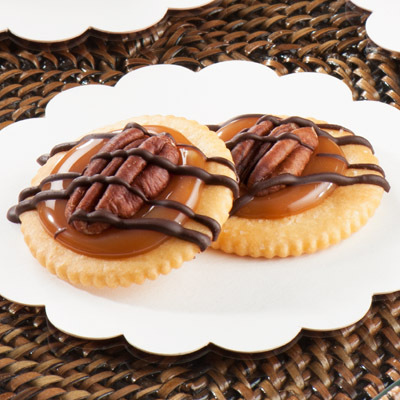 Dip wide part of each peanut butter cup in blue candy coating, place on top of one end of each decorated cookie. Let stand 5 min. or until chocolate is firm. Dip top of each cookie and peanut butter cup, 1 at a time, into blue candy coating. Return to prepared baking sheet. Refrigerate 5 min. Microwave remaining chocolate chips in microwaveable bowl 30 sec. or until melted when stirred; spread onto tops of peanut butter cups to resemble opening of shoes. 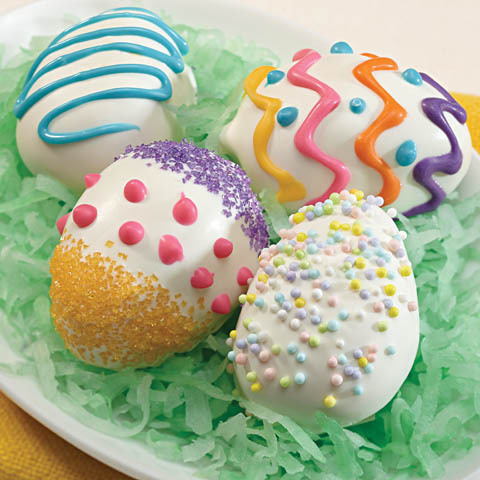 Mix remaining white candy coating with a few drops of your favorite shade of food coloring. Spoon into small resealable plastic bag; cut small piece off one bottom corner of bag. Use to pipe candy coating onto cookies to resemble shoe laces. Place sprinkles at ends of shoe laces. Refrigerate 5 min. 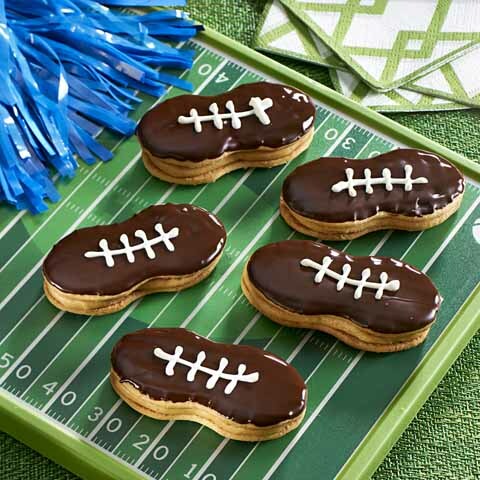 Size WiseAs much fun to make as they are to eat, these whimsical football cleats are perfect treats to enjoy on any occasion. SubstituteSubstitute your favorite colored candy coating wafers for the blue candy coating wafers.